The town of Bundaberg in Queensland is approximately one and a half hours drive from Town of 1770, which makes it a perfect destination to launch your cruise to Lady Musgrave Island onboard our modern catamaran. Take a leisurely drive through historic villages and sub-tropical tablelands, via towns such as Yandarn, Rosedale, Captain Creek and the beautiful Agnes Water. The actual Bundaberg region covers more than 6,000 square kilometres and boasts diverse natural resources and facilities. It boasts a mixture of environments including the city, rural lands, coastal waterways and protected natural areas. 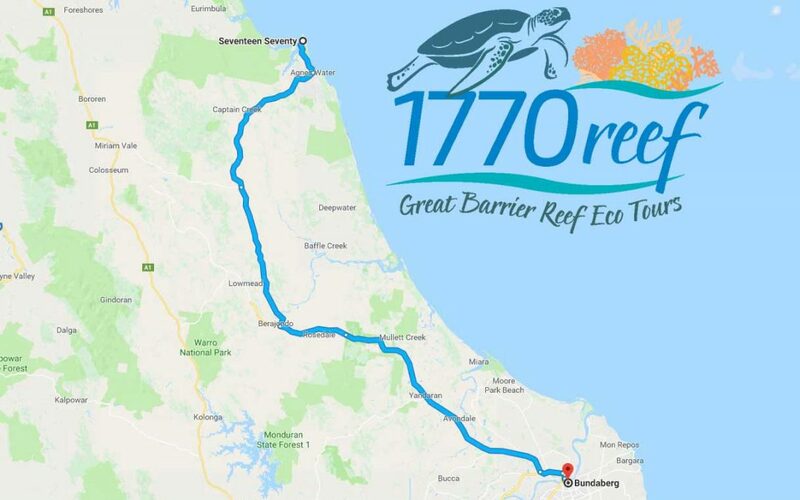 The Bundaberg region is the beginning of the internationally renowned Southern Great Barrier Reef, just a stones throw to Lady Musgrave Island via Town of 1770. Bundaberg City is the centre of this unique region, and is centred on the picturesque Burnett River at the southern tip of the Great Barrier Reef. It is the commercial and service centre, as well as distribution point for the entire region. The climate in Bundaberg and reaching as far north as Town of 1770 is a mild sub-tropical environ, ensuring gorgeous summer days of blue skies and crystal clear waters. The city includes modern shopping facilities, plenty of tourism destinations and a very relaxed, inviting lifestyle. Whilst in Bundaberg, consider visiting the Botanic Gardens, the Hinkler Hall of Aviation, and plenty of Cycling and Walking trails. For more information, visit the Bundaberg offical tourism website here.